The Aspire Plato E-Cigarette is a real powerhouse, so you should use only the best Subohm evaporators to exhaust its full potential. This evaporator with its resistance of 0.4 Ohm develops fat clouds and a rich aroma at 40 - 50 Watts. Like most new Aspire coils, it comes with organic Japanese cotton and an innovative Kanthal-Clapton winding. The perfect part for the Plato E-Cig can only be ordered individually. 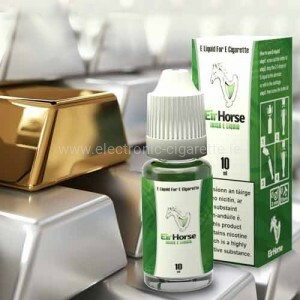 Tip 1: Do not install battery and press fire button until there is e-juice in the tank and coils are primed with e-liquid. 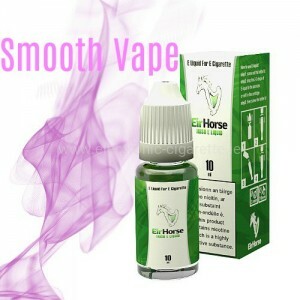 We recommend letting the e-juice sit in the tank for around 4 minutes before powering the unit on and pressing the fire button. You can prime your coil before installing it in the Pyrex tube and adding e-liquid. Basically we want to make sure the cotton around the coil is soaked with e-juice. You can prime the cotton around the coil before actually installing it into the Aspire tank. We want to make sure the cotton is sufficiently wet. Tip 2: When inserting coil cartridge down the Pyrex tube, make sure the o-rings are properly in place and intact to prevent leakage. Also, make sure the top hardware with gasket plug seal does not turn when tightening up coil into the base hardware. Plug seals should be aligned and directly opposite (perpendicular) to the fire button. Seals can be held in place while screwing by holding the upper hardware in place with your index finger and thumb. 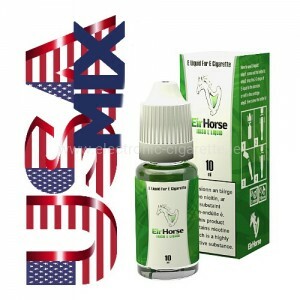 With seals properly aligned upwards, liquid will not leak out of the fill hole and drainage hole when adding e-liquids. Hold the top hardware in place while screwing the Plato cartridges down. Gasket plugs should be aligned perpendicular to the fire button for ease of filling e-liquid. Tip 3: When screwing the sub-ohm coil down into the base hardware, screw the cartridge into the base hardware until the orange o-ring is no longer visible. Meanwhile, it is okay to see the 1.8ohm Nautilus cartridge o-ring. The cartridge head should be flush with the top of the Plato. Please watch the the full Plato coil installation video manual embedded below. Plato Sub-Ohm cartridge is properly installed when it is screwed down enough to where you can no longer see the orange o-ring. Please watch the embedded video tutorial below to see how to properly install 1.8ohm Nautilus coils. Tip 5: If you let the e-juice go below the bottom of the wick-feed on the Sub-ohm coil, then it is really easy to get dry or burnt hits. Make sure your Ejuice tank window is filled up past halfway up the window. There is a line right on the coil where the feed ends. While the battery door can be installed both ways, make sure the door is installed with the window at the bottom near the base hardware or drainage hole. This way you can correctly gauge the liquid level when Plato is stood up. To avoid dry hits when using the Plato Sub-Ohm coil, please make sure liquid is filled above the halfway mark on the e-liquid tank window. Plato’s battery door can be fit on both ways, if you are using the E-liquid tanks window, please make sure the window is on the bottom half of the unit. The cover on the right is too high to correctly show e-juice level. Tip 6: When refilling E-juice and putting Plato on its side. Make sure to remove the battery as sometimes the fire button may go off when pressing down on the Plato device while refilling. You don’t want to accidentally press the fire button when there is no e-liquid on the coil as it may fry the atomizer. 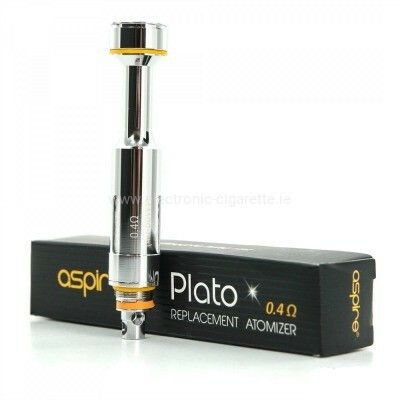 Recommended refill method: Remove the battery from the Plato when filling using the dropper method. When sat on its side, a slight press down will trigger the fire button. Another note: Please also open the drainage hole when refilling. This will allow for airflow and will prevent unwanted bubbles from forming in the Plato tank. This is not the recommended way to refill your tank. Battery is still installed meaning the fire button can easily be triggered when there is no e-liquid in the atomizer; And, only the refill hole is open so it will be hard to fill tank up all the way without creating many bubbles in tank. Tip 7: Upgrade your Plato to the latest firmware to make sure your device has all of the latest functions. The current firmware version will allow you to customize your boot-up logo (v03 firmware). We should have a new firmware in several weeks so stay tuned to our blog. Tip 8: There is a groove at the top of the cartridge where the screw head is. You can use your finger nails to pull the Plato cartridges out. If it feels like it is loose, there is no need to keep unscrewing. Just pull the unit out. The 0.4ohm coil cartridge is wider than the 1.8ohm nautilus cartridge so it may take some pulling on the groove to remove the cartridge. There is a groove at the top of Plato cartridges that can be used to pull the cartridge shaft out from the tank when unscrewed loose. Tip 9: Button Control: Click the Fire button 3 times within 2 seconds to put it into stealth mode. While in stealth mode you can vape, but cannot change settings. Click Fire button 5 times within 2 seconds to lock; When locked, press the fire button down for three seconds and the unit will power off. Please make sure to lock the Plato device when putting into your pocket or leaving unattended. Rapidly click the fire button to control your Plato. Note: pressing fire button down when inserting the Plato battery shows you the Firmware version and allows you to change the language. Press the Up and Down buttons at the same time when in Temp Control Mode, Variable Wattage (VW) Mode or Variable Voltage (VV) Mode to re-select a different mode. VW and VV modes are in Version 04 firmware and after. As mentioned above, stay tuned to our blog and social media pages as this new firmware will be released soon. Tip 10: There will be many more tutorials, and firmware releases to come. Make sure to subscribe to our various channels. Check out written & video tutorials for the Plato before using: Logo Tutorial – Shows you how to download the AspireUP tool and upload a customized boot-up screen. We hope these Plato tips were useful. Enjoy your Plato All-in-One and Vape On!